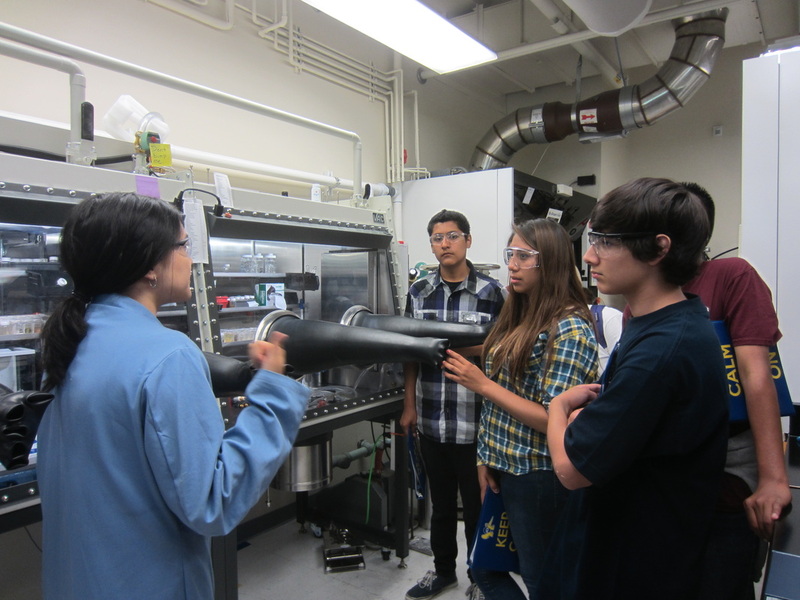 LEAPS was initiated by the UCI School of Physical Sciences in partnership with the UCI Center for Educational Partnerships (CFEP). 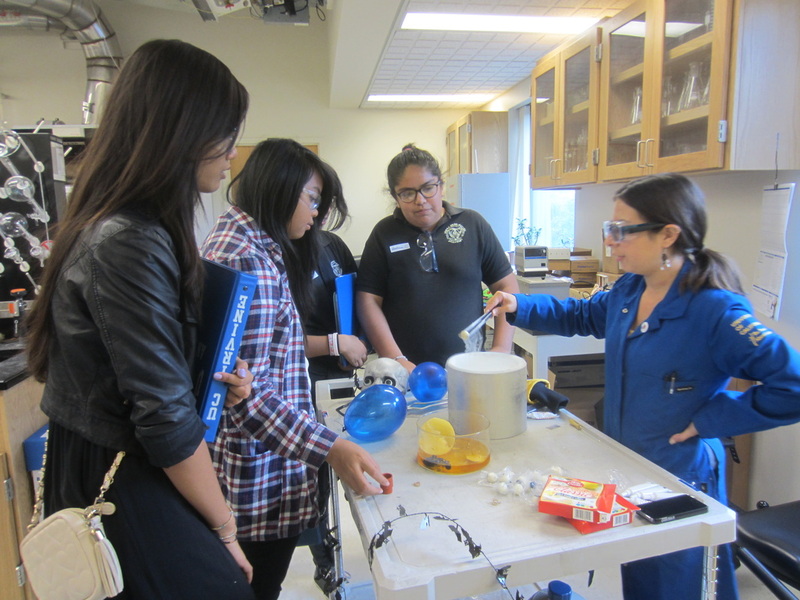 This program offers local underserved middle school students a “Day at College” experience at an age when they are developing their academic interests. 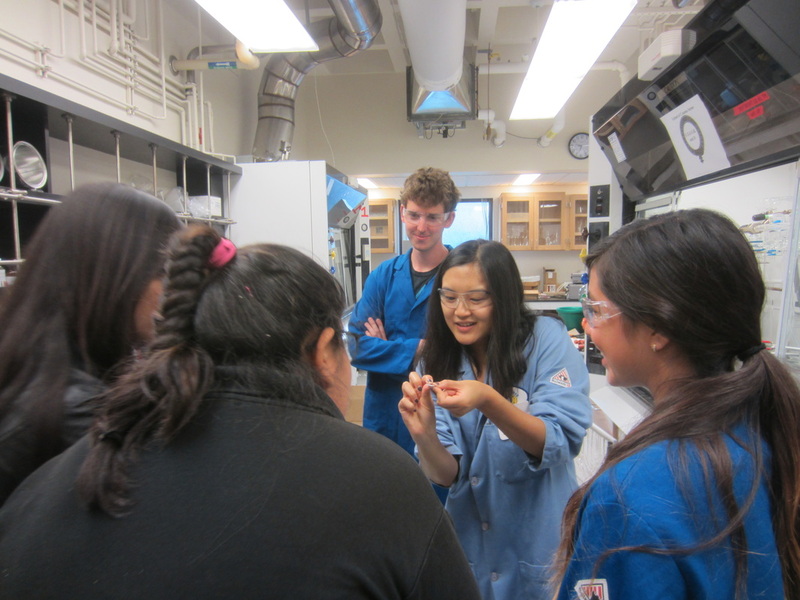 Aside from educating students about opportunities in STEM fields, it provides the students with an opportunity to interact with young scientists. 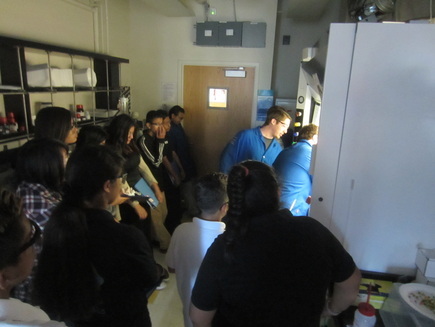 The students spend one hour in an active chemistry research lab and one hour in an active physics research lab performing hands-on experiments supplemented with demonstrations. 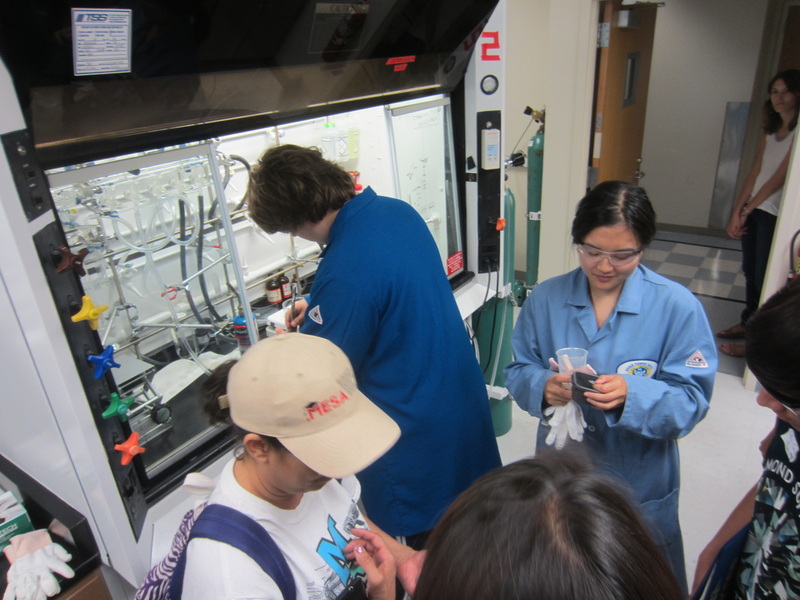 Experiments in the Yang laboratory focus on demonstrating the difference between chemical and physical (phase) changes. For example, liquid nitrogen is used to freeze different materials, including both water and air balloons. Another experiment electrochemically plates zinc onto the copper surface of a penny to turn it “silver”, demonstrating an electrochemical process. 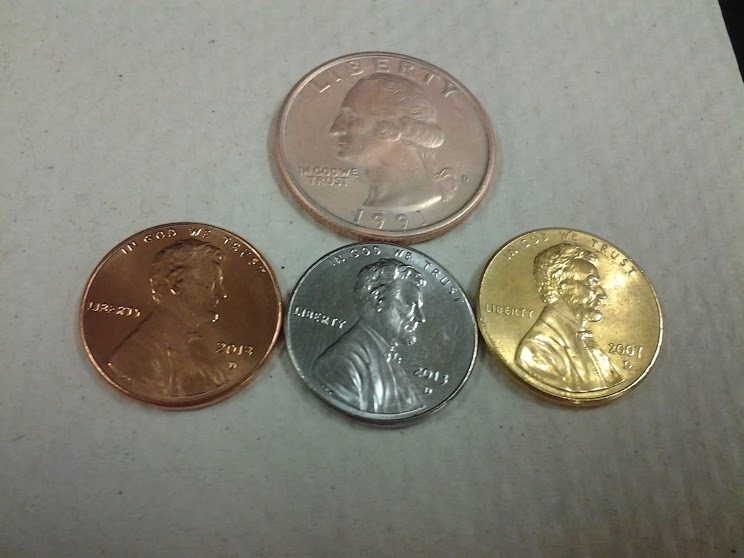 The penny can then be turned to “gold” by heating it to form the alloy bronze so that students can learn about pure versus mixed elements in chemistry. 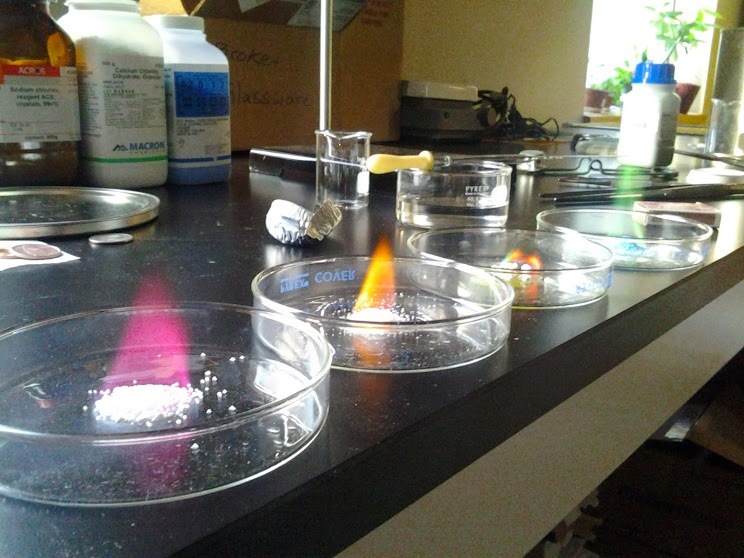 We also perform flame tests to demonstrate the different spectral properties of different elements, and then ask the students to identify the composition of a "mystery mix".